Welcome back to the ongoing tale of the PokerTribes.com / PokerTribe.com scam centered on serial fraudster Fereidoun “Fred” Khalilian. Khalilian and his Florida-based Universal Entertainment Group, which has peddled the upcoming launch of a real-money online poker site operated by an Oklahoma tribal nation for, well, several years now. In the latest development, a puff piece appearing at Digital Trends has attempted to humanize and legitimize Khalilian and his scammy history without really digging into the truth, He’s sold two different Oklahoma tribes a gigantic bill of goods, pocketing at least $20 million to date while promising them untold riches in offering online poker and other gambling forms to an outside-the-US audience, despite the fact that there’s no demand whatsoever by Euro gamblers (who have hundreds of options to choose from) to put their money on a sketchy US-based site. Fred Khalilian (at right) posted on Instagram this photo of his signing a deal with Monster Cable CEO Noel Lee. You won’t read about that in the Digital Trends piece, however. Instead, it’s about Khalilian being brought on as the COO of Monster Cable, which makes all sorts of headphones and related tech gear but appears to be cash-short at the moment, owing to the loss of major deals with the likes of Apple and Beats; yes, this was the manufacturer of those awful Beats by Dr. Dre headphones. Anyhow, Monster CEO Noel Lee inked a deal in October with Khalilian and his partner, Joe Moscato. Monster, it turns out, was the “major brand name” that Khalilian alluded to in his public comments when the Iowa Tribe received its license from IOM regulators. But whatever. It’s true that the Iowa Tribe has received approval from the IOM (under the name of its corporate entity there, Ioway Internet Gaming Enterprise Limited), but there’s no indication that Khalilian or his prior firm (Universal Entertainment Group) or his new one (Monster Cable) have received similar approval. “… [Khalilian]’s started at Isle of Man, the same people currently empowering PokerStars.net. 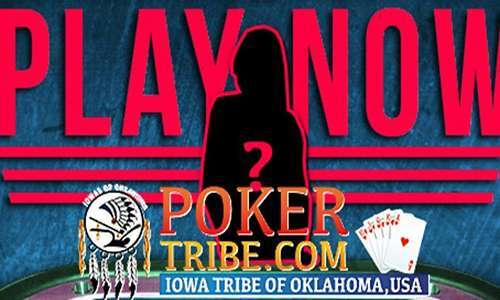 PokerTribe doesn’t yet appear on the country’s list of operating gambling servers. But Dave Corteen, Senior Inspector with the Isle of Man Gambling Supervision Commission, told Digital Trends what it takes to get a license. Since our last update, the PokerTribe.com home page has replaced its prior imagery showing faked and fraudulent “in progress” gaming information and replaced it with one showing a new logo… and little else. It now promises a 2018 launch date, as if. The IOM has granted the Iowa Tribe a license; it has not granted Khalilian nor any of his business fronts a license, and that’s why this scammer couldn’t show it to Kaplan. Khalilian has repeatedly tried to bury his own felonious past, and that appears to be part of the move away from the hapless UEG name and onto a seemingly more presentable brand at Monster. It shouldn’t matter: There’s no way Khalilian could pass any sort of “key employee” filter from any reputable regulator. More, he’s the type of career scammer that has to be kept out of online gambling, at virtually any cost. One can find details of both of Khalilian’s run-ins with the FTC on plenty of other online sites, but the Digital Trends piece is more important in that it provides a bit more info into that previous Khalilian scam, the “PokerTribes.com” effort with the Cheyenne and Arapahos. A month earlier, Khalilian told us a different story. “They didn’t want their $9.4 million back. They just wanted us to leave. They never sued us, they never came after us – all he wanted to do was humiliate us in the media and kick us out,” he said. Which, of course, explains why the Cheyenne and Arapahos then filed suit for the $9.4 million. Nope, they didn’t want their $9.4 million back. Much. How that isn’t fraud / illegal conversion / unjust enrichment on its own is beyond this writer. But I am a writer, not a lawyer, and this is the Cheyenne and Arapahos’ case to pursue. Remember, in all this PokerTribes.com / PokerTribe.com malarkey, it’s not the future online poker players who are the marks of the scam. The tribes themselves are the target, and at least in the Iowas’ case, they’re likely going to funnel in several more million dollars before they realize that they’re chasing fool’s gold and that the promised end audience is imaginary. It doesn’t matter if Khalilian has identified some sort of legal loophole, which is apparently his specialty. There’s still no market here. Quality. Online gambling needs this guy like it needs a hole in the head. C’mon, IOM, do your job and deep-six this operation. The clown is a scammer. Check federal cases against him on line. He should be in prison.